Hello for Halter’s Farm Market! A lot has been transitioning at the market as the summer heats up! The legendary Jersey Corn has hit the market and the buzz is spreading! Come enjoy our sweet Jersey Corn, summer’s simplest, purest pleasures. Did you know: Cooking corn actually INCREASES the amount of antioxidants in it? Wow! We have summer fresh white sweet jersey corn. It is super sweet and stealing the show here on the market at the moment. Our corn is picked DAILY from A.T. Buzby Farm in Mannington, NJ. The corn will get bigger and better as the season progresses! We have DELICIOUS New Jersey Blueberries that have amazing flavor. Come by and try them at the peak of their season. They will be on Market for a month. The New Jersey Hot House tomatoes are continuing to be a fan favorite because they simply have that bite that you crave, but if you are waiting for the field picked Jersey tomatoes, it will be just two more weeks! Let the countdown begin! Come get your last call for New Jersey peas! We will continue to pick for about two more weeks! Our southern green beans are nice and crisp right now! Later this week we will be picking New Jersey Green Beans! WE HAVE WASHINGTON STATE CHERRIES! Fan favorite last year, come and get’em! New Jersey strawberries are done for the year. New Jersey asparagus is also done THIS weekend. Some unfortunate news was upon us this season. The Southern Peach crop in Georgia was hurt by a late frost. We will not be able to obtain any southern peaches, but we will be persistent until the New Jersey variety season starts. We DO have a few peaches from California that eat really well but are limited. 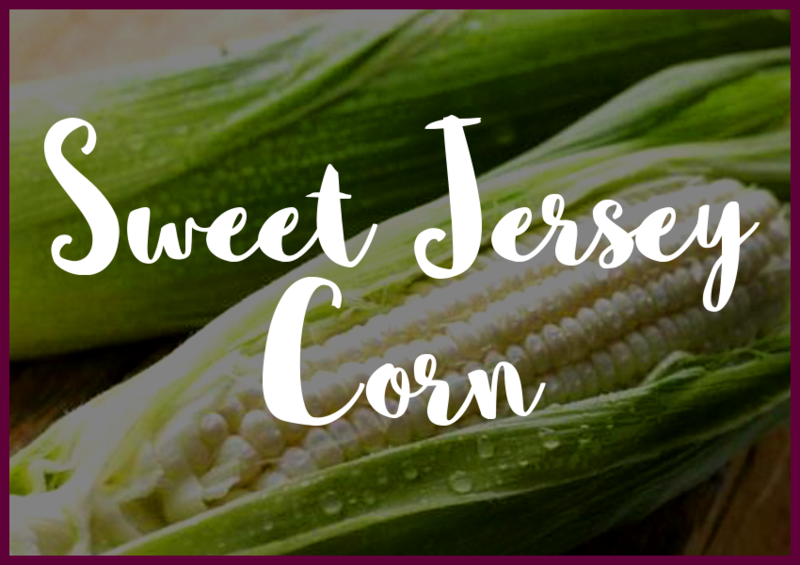 Come and get your sweet jersey corn on our market today! We are open every day. Be sure to visit our Facebook to see what is fresh on market!